Szechuan style red oil wonton with unique Sichuan style red oil, black vinegar, soy sauce and sesame oil. 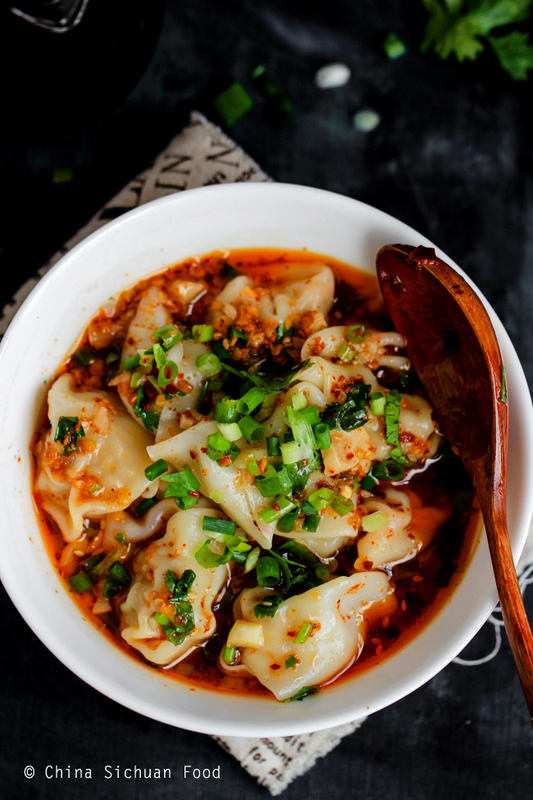 If you ever visited any small street food restaurants, you will find red oil wonton and red oil dumplings are provided. The wonton soup in Sichuan cuisine is quite different from Shanghai version or Cantonese version (Chinese shrimp wonton soup). 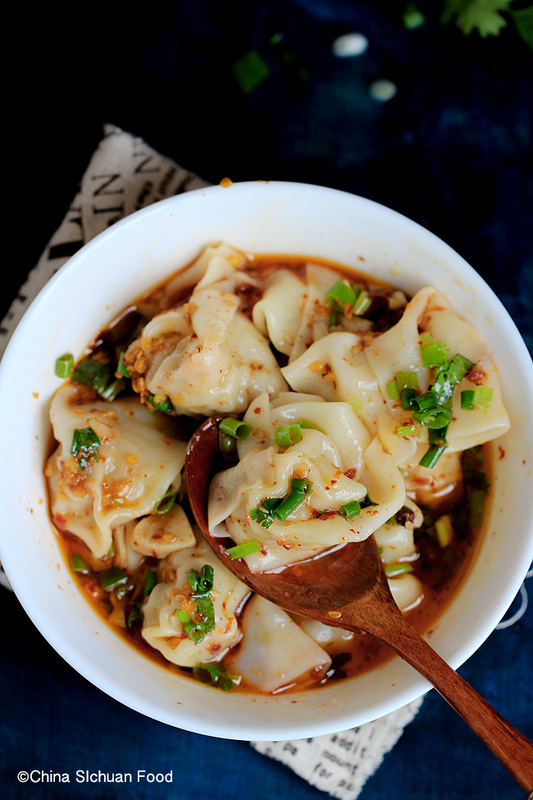 This wonton is extremely featured by its soup broth or more actually red oil dressing. 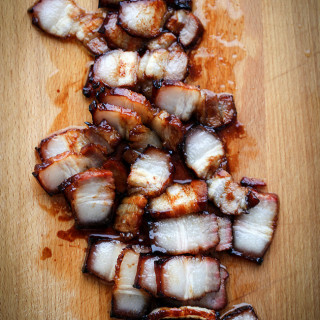 We are calling this special food as red oil Chao Shou 抄手. In order to get bright red oil, I would suggest making the chili oil the day before you decide to make this red oil wonton. The red oil should be slightly brown due to the high temperature of the oil. And after several hours cooling down and settling, the oil will absorb the red color of the chili powder. By the way, if you want to explore more ways of wrapping wontons, check how to wrap wontons, in which I shared my commonly used 6 ways. I am making a two servings this time and if you plan to make larger servings, cook wonton by batches. You'd better to prepare the chili oil in the previous day according to this instruction. 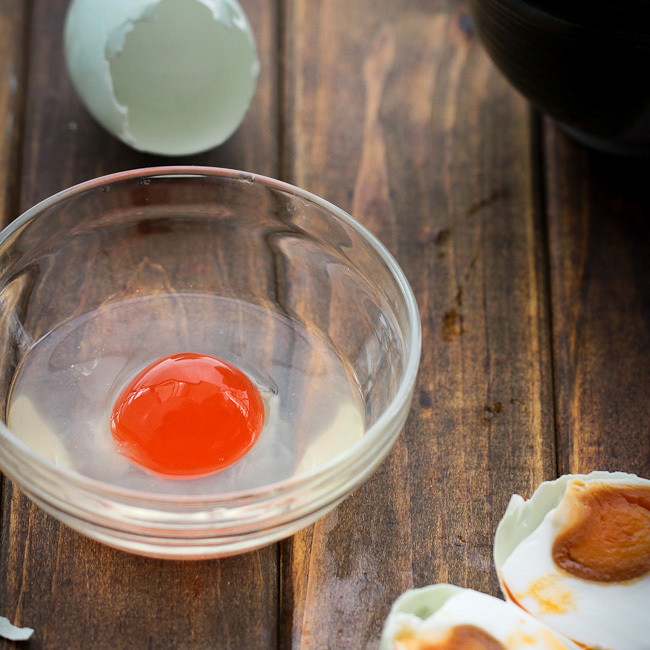 In a large bowl, mix minced pork with ginger, oyster sauce, egg, spring onion and salt. Keep stirring the mixture in one direction until well combined and sticky. Refrigerate for around 15 minutes for a better flavor. Assemble wonton one by one. In a bowl, mix all the seasonings together. 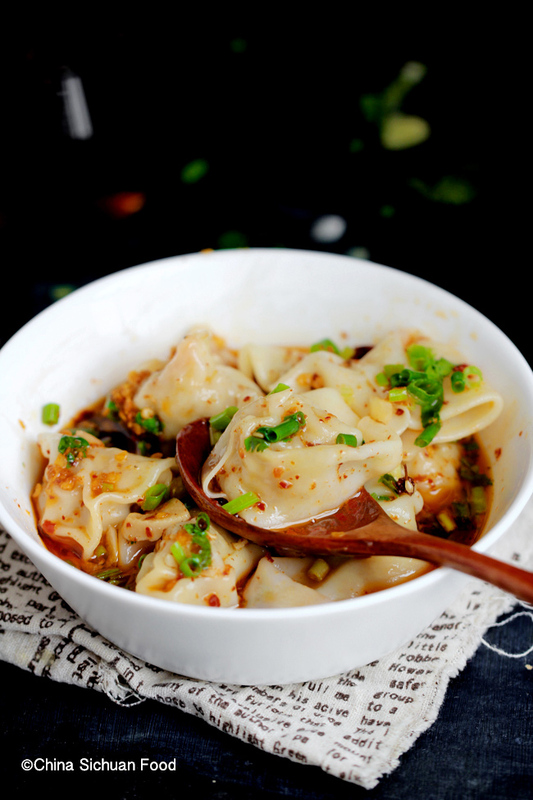 Cook wonton in boiling water for 3 to 4 minutes until the wrappers become transparent completely. 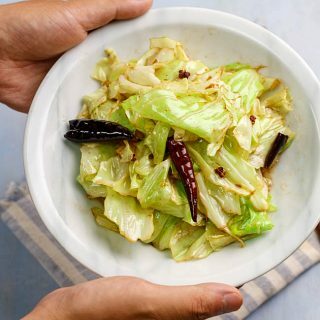 You can add some green vegetable like lettuce, bok choy leaves in last minute. Transfer out to serving bowl and then scoop some water to cover most of the wontons (not too much as it may dilute the red oil dressing). Pour the red oil dressing on top; garnish extra minced spring onion and coriander. 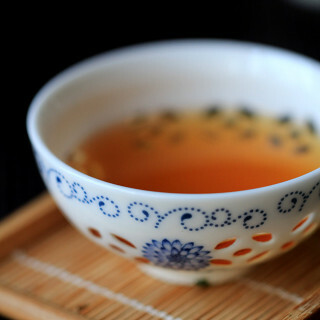 Mix well before enjoying. Thanks Acyhoz and you are so kind! One good news that homemade wonton wrappers usually are much better than store bought version because they are much thinner. For real red oil wonton, the wrappers needs to be as thin as possible. Love your site! 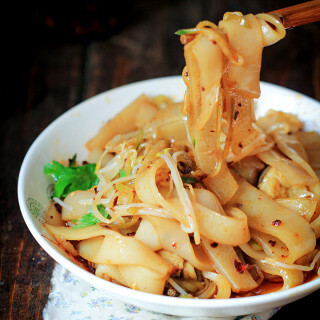 I lived in China for a year and I long for these traditional foods and now you are helping me with the recipes!! It is my pleasure! I am so glad to know they are helpful. Wow, I LOVE your blog. Your food photos are so fantastic! My mom is originally from Sichuan and you have all my favorite chinese eats. I can’t wait to get hands on in the kitchen and try your recipes, I’ve been dying to learn how to make chinese food for ages! Thanks Emily for all your kind words. I bet your mom can cook excellent Sichuan dishes too. You are such a lucky girl. Hello! 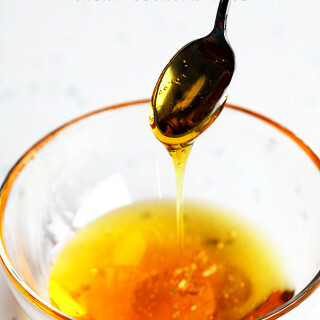 First time making this and I am wondering what oil I am to use for the 1 cup oil. I’m not seeing it in the ingredients. Would peanut be good? Peanut oil should work for red oil. Hello! I am currently in the process of making this recipe and noticed a couple weird things between the ingredients for the chili oil and the directions. One of the ingredients listed is cumin but nowhere in the directions does it say where to use the cumin, and the Sichuan peppercorn is listed to be used twice in the directions. I suspect that one of the places where Sichuan peppercorn was used in the recipe was supposed to say “cumin” instead. Just wanted to point that out! I can’t wait until I am finished making them! I am making them to share with friends at a party I am having. I will get back with turned out soon! Thanks Anna for the careful reading and correctness. The cumin should be used along with other spices including star anise, dried chili pepper and Sichuan peppercorn. Dang, I ended up using it in the wrong spot…I am sure it’ll still be good though! Thanks for clearing that up though! Thank you for all your wonderful recipes, including this one. I am an American obsessed with real Chinese food, especially Sichuan, and this is a Treasure Trove for me. I was wondering, when I make my wontons for the red hot oil, my wrapper is so thin some of them crack and meat comes out a little. However, once they are cooked they look fine. Is this normal? I tried making them thicker but I don’t like them as much. p.s. Do you take donations to fund your site? It is normal Hungry if some of the wrapper get broken especially when the wontons are slightly over-cooked. You can cook them for a slightly shorter time. Thicker wrapper does not taste good for me tool. p.s. I do not take donations on the website now. You seem to be unbelievable, so tempting. I have stayed in Shanghai for about 3 years.Love most of the Sichuan style food out there. Yoru pics n recipe is giving me big rush to try my hands on to most of the dishes. Well I tried to prepare Sichuan beans in a bit of my own style. Hi, thank you for the great recipes and beautiful photos! 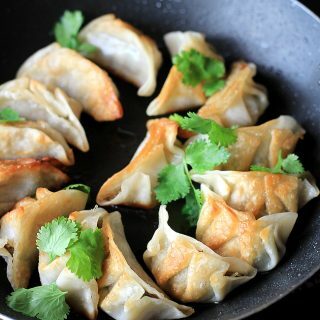 Is the soup/oil there just to give flavor to wontons? Or can you drink the soup with oil? Usually we do not eat the soup directly. It is mainly for flavoring. 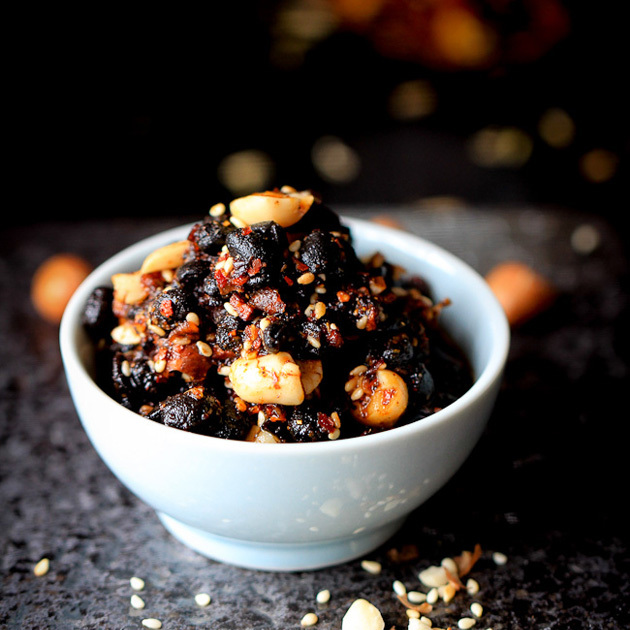 I have updated a detailed recipe about how to make the chili oil in another post. 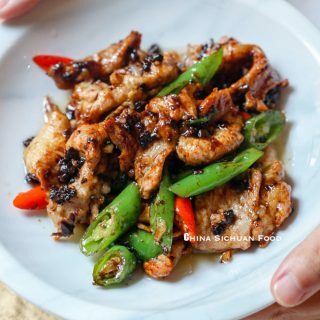 You can go this link https://chinasichuanfood.com/chinese-chili-oil/ and check the details. Ahhh, ok, you are using red pepper flakes not a chili powder. Will have to try again, no worries, what I made came out tasty. Oh my. these are heavenly. Thank you for the recipe, especially the wrappers. I some last night and set the rest of the dough in the fridge for today. It made a stiffer wrapper much like the kind I am used to. The red oil sauce is fantastic. I would never have thought of mixing my chili oil with black vinager and the rest (minus the shaoxing wine. I do not consume alcohol). What a perfect light meal! 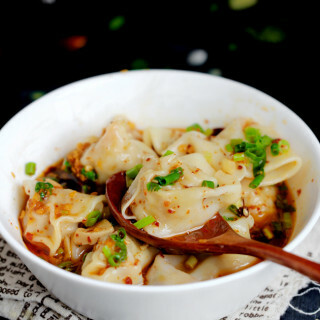 Red oil wonton can be wonderful with homemade paper thin wrappers! This is a very typical Sichuan style of mixing seasonings. So glad that you love it!! I made these and they were awesome! Making again tonight. Thanks for the feedback, Janko. Enjoy your cooking.